Every once in awhile, I stumble upon a recipe that just screams “MAKE ME, PLEASE!” This is one such recipe. If you are looking for something that is incredibly easy to make to wow your co-workers, family, and friends, this is it. It looks harder to make than it is, I promise. The result? A rich, flavor packed snack sure to please the pickiest of eaters. I mean really, who doesn’t like Nutella, or marshmallows for that matter? 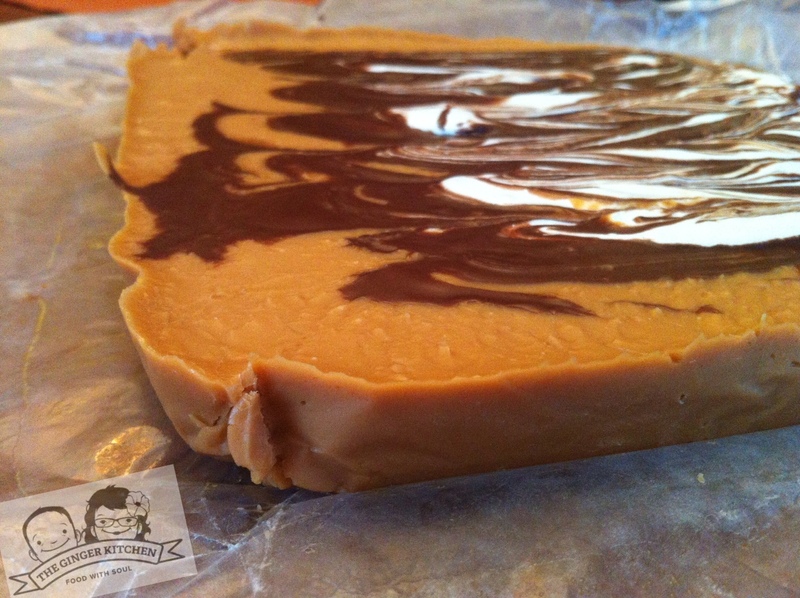 Place butterscotch chips in a medium sauce pan and pour sweetened condensed milk over them. Over low heat, melt the butterscotch and condensed milk together, stirring constantly until smooth and pulling away from the edges of the pot. Pour into a wax paper lined 8×8 baking dish. Use zip top baggies to pipe the Nutella and marshmallow cream over the top of the fudge. Swirl in with a knife. Chill in the refrigerator to set for at least an hour. *Place the Nutella and marshmallow cream in the baggies before you begin heating the butterscotch and milk. We discovered that putting the baggie in a cup made it easier to get the Nutella and marshmallows into it. Cut a small hole in the bottom corner of each baggie in order to do the piping. Sooo good 🙂 I have some extra! Tease. 😉 I set aside the recipe. I need to make it. Soon.